The Fast Forward Revue is a compilation of articles, ideas, reviews and interviews concerning just about anything. Literature, philosophy, technology, music, art, etc - chances are, one of us is writing about it. 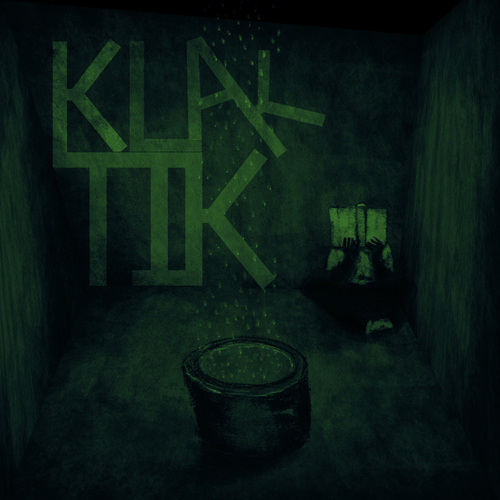 Klak Tik is the solo project of Søren Bonke, a Danish musician currently residing in London, United Kingdom. 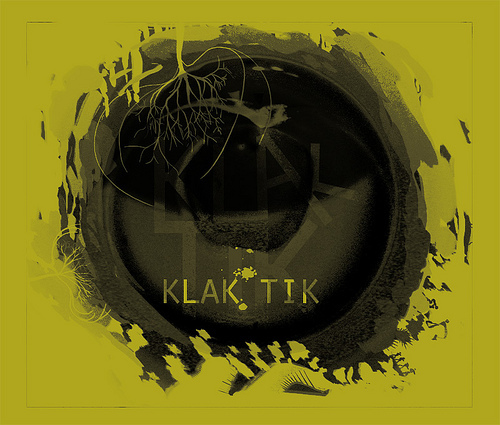 With tags and descriptions ranging from indie, alternative, and acoustic to folk and gypsy, the music of Klak Tik is layered, multi-instrumental and hypnotic – reminiscent of Beirut, DeVotchKa and Arcade Fire. Bonke describes his own sound as “Thom Yorke and Sufjan Stevens, in bed, quarrelling, only you can’t quite make out the muffled words through the wall, so you try to go back to sleep.” Insightful and with a great sense of humour, the Fast Forward Revue got the chance to catch up with this fast-rising musician for an interview. You can check out Klak Tik on Myspace and Last.fm, where his latest album Padangle Studio Sessions is available for download. Let’s start with something simple – though not necessarily easy to answer: who is Søren Bonke? Søren Bonke is a Danish musician, only days off celebrating his 10th annual 19th birthday, but no less consumed by middle-child-syndrome than he was ten years ago. Originally from Denmark, you’ve now moved to London, UK. What prompted your decision to move? And how have you been finding London? I lived in Germany for three years before I came to London. I originally didn’t want to go to London, but a combination of not being able to find work in Paris, where both my brothers were living at the time, and a job with Alexander McQueen in London, which my girlfriend at the time got her fashionable hands on, prompted the decision. Despite being my second choice, or, my only choice, London has certainly proved to be an exciting place to live. Great place to be a musician, bad place to live as one. I miss the sea. How did you begin writing music. What drew you to it and influenced you? I began playing piano (mother forced us, the witch!) as a three-year-old and I guess I found the rebellious inclination to ditch Eric Satie and make my own little tunes well before my 10th birthday. The baby grand was a dear friend when coming home from school to a large and sometimes very quiet house in the country. I remember how I would strike a ten finger chord, forte fortissimo, and putting my ear on the wood and then let myself be hypnotised by the endless ringing of the strings. I’d sometimes fall half asleep over the keys and have small dreamy visions in a particular key. The piano gave me my first encounters with the meditative element of playing music, which is something I still cherish. I don’t remember being drawn into music or beginning to write music, it was just always there, in the center of my life. 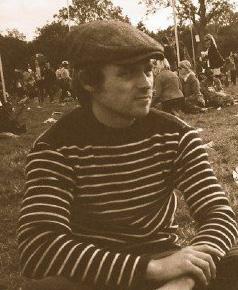 I was/am influenced by everything around me, the same as anyone, writer or not writer. I think my songs have become increasingly personal as I’ve got older and less intimidated by my own feelings. I do remember, at 13 or so, beginning to write this symphony style epic piece about a dragon slayer or something fancy like that, and how I lost all motivation as soon as I realised how long it would actually take to complete it. Now that I’ve more or less accepted my pathetic concentration span I tend to stick to slightly more manageable formats of songwriting, i.e. something I can finish while I still feel that way. How would you personally define your sound and your music? Thom Yorke and Sufjan Stevens, in bed, quarrelling, only you can’t quite make out the muffled words through the wall, so you try to go back to sleep. On the record, you play many different instruments, some conventional and others not as common in music today. How did you pick up each one – and do you have a favourite? I’ve always had lots of guitars and I guess it was only when we started recorded the first album with my old band that I properly started getting into all the other instruments. It started with a ukulele that my producer bought. Then I got a banjo and a mandolin, and accordion and a violin. My friend lend me his old trumpet from school before another friend lend me her old cornet from school. I’ve got a 100-year-old auto harp which sounds absolutely beautiful when it is in tune, which it never is. My favourite sound of any instrument would have to be trumpet. Not when I play it, mind you. Favourite musical artist(s) right now? I’m really into the Ruby Suns at the moment, but that certainly doesn’t mean that I’ve stopped listening to BSS, Elliott Smith, Sufjan Stevens and Neil Young. Some artists you just never tire of. Others come and go. The first record you ever owned? Technotronic, Pump up the jam. Yes, I know… my older brother was a dj at the time and I was trying to copy his style. Best live show you’ve ever been to? Ha, maybe that’s what they are arguing about in bed. Sufjan Stevens at the Barbican in London was absolute beautiful, and is probably only matched by the free Radiohead show, which me and about 150 other jammy bastards enjoyed in the tiny venue 93 Feet East in East London in February. If you could do a musical collaboration with absolutely anyone, who would you choose? Russell Crowe. No, maybe Neil Young. Or Duke Ellington. Outside of music, what do you generally do with your free time? Ride my fixed gear bicycle around London. Watch old films. Grow plants. Sip fair trade lattes from organic farmer’s markets. And finally, is there anything you’d like to add? is the brilliant slogan for the scuba diving gear company Mares. A phrase which I will be putting into practise from tomorrow when I travel to Cambodia for a month.